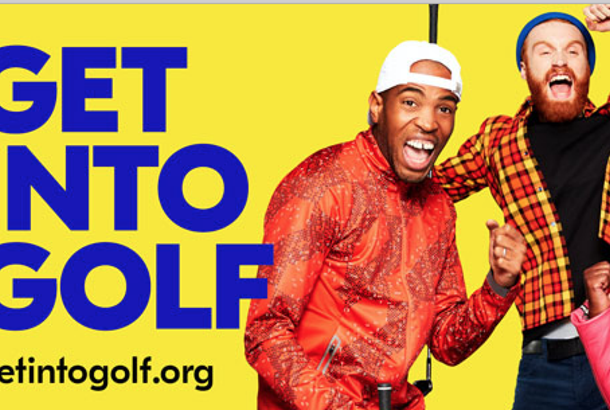 The Get into Golf campaign has been relaunched by England Golf with a bold, modern look which is designed to be noticed and shake up ideas about the sport. Bright colours, casual clothing and the thumbs-up from social influencers will combine to show golf as fun, friendly - and welcoming to beginners and improvers. It refreshes and modernises the image of the game and sets out to inspire people to give golf a go. The new website offers taster sessions and courses for beginners and improvers with features which make it easy for customers to find a session, book activities and pay online. Get into Golf has also enlisted a group of social influencers from other sports who will be trying the game and reporting back to hundreds of thousands of followers on Instagram and other platforms. They are health and well-being blogger Madeleine Shaw, yoga influencers Cat Meffan and Jessica Skye, cycling blogger Alec Briggs and runner Marcus Brown. They’ll be filmed as they enjoy the Get into Golf experience and will push out the clips on their own channels, taking golf to new audiences. Get into Golf is being relaunched to coincide with this week’s Masters championship in the USA, when the sporting world focusses on golf. England Golf Chief Executive Nick Pink said: “This is the perfect time to talk about Get into Golf and we’re very excited about the new campaign and the impact it will have on the sport. “We’re presenting golf in a completely new way which will appeal to younger people who’ve never thought of playing or have been put off by the old image of the game. To get a taste of the new Get into Golf campaign click here to watch this behind-the-scenes video, filmed at our photoshoot.